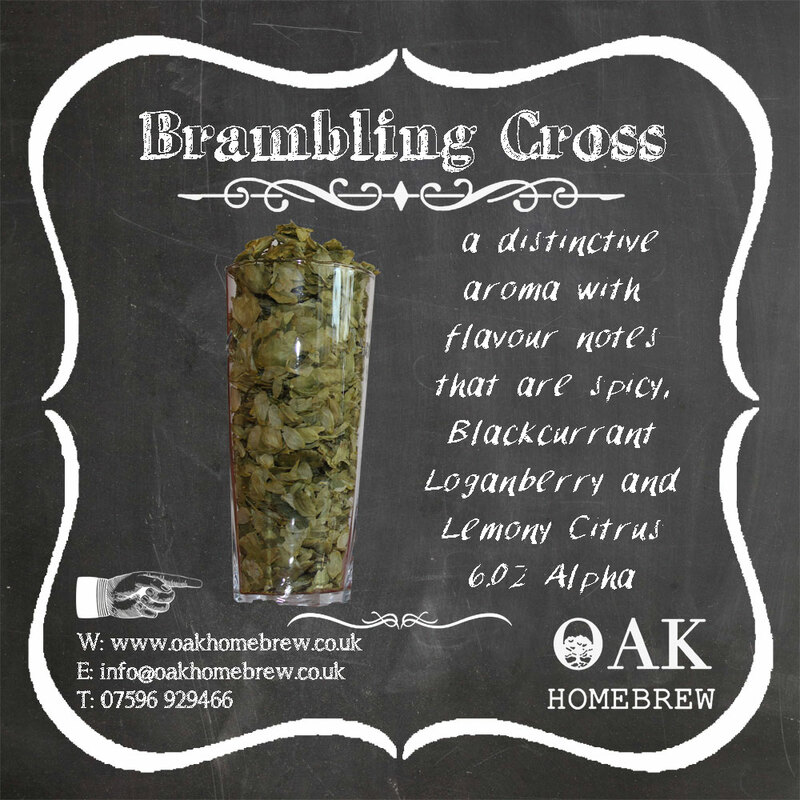 The brewing Bramling Cross has a distinctive \u201cAmerican\u201d aroma with flavour notes that are spicy, blackcurrant, loganberry and lemony citrus. It has high flavour intensity and works well as late copper, hop-back or dry hop addition and is a good experimental hop for brewers as a late or dry hop. The brewing Bramling Cross has a distinctive “American” aroma with flavour notes that are spicy, blackcurrant, loganberry and lemony citrus. It has high flavour intensity and works well as late copper, hop-back or dry hop addition and is a good experimental hop for brewers as a late or dry hop.